So we’ve covered lunches, but some people prefer to party at night.. and we know that top celebratory dinners need a bit of glamour and grandeur as well as a good ol’ gourmet menu to eat with gusto.. Here are our top picks for celebrating birthday and anniversary dinners in style. 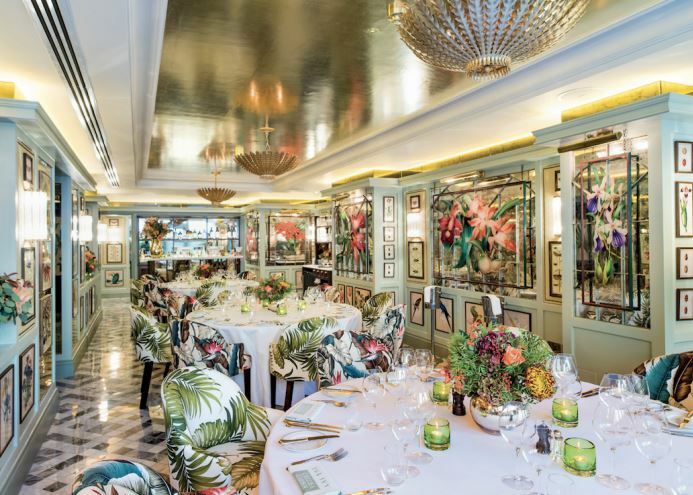 The Ivy’s undeniably iconic status means it never fails to impress and it always has that enchanting warm glow to it as well as never disappointing on the classic food front. There’s now plenty of choice in the Ivy stable: from the Ivy Chelsea Garden which has a private room for 24-30, Covent Garden’s Ivy Market Grill’s two private rooms for 24-40 guests, or the original Ivy’s private room for up to 60, which has recently had a distinctive makeover, and now features a baby grand piano for live music, as well as beautiful furnishings to complement the famous harlequin windows. We love the Wolseley’s private room for discrete parties of 14, it’s like sitting inside a Faberge egg but with views of on all sides – from the glamourous goings on within the main restaurant to The Strand outside and even a vantage point to the Ritz’s entrance. Just a minimum spend here, which is easy to reach while enjoying the Wolseley’s famous brasserie style seasonally changing menus. Equally iconic, the award-winning Bar Boulud set within the stunning Mandarin Oriental (Hyde Park) has two stunning private rooms with a bistro ambience where up to 20 guests to enjoy celebrating your special day with the enticing French/American menu packed with signature specialities of house-made terrines, pates, hams, saucissons and more. 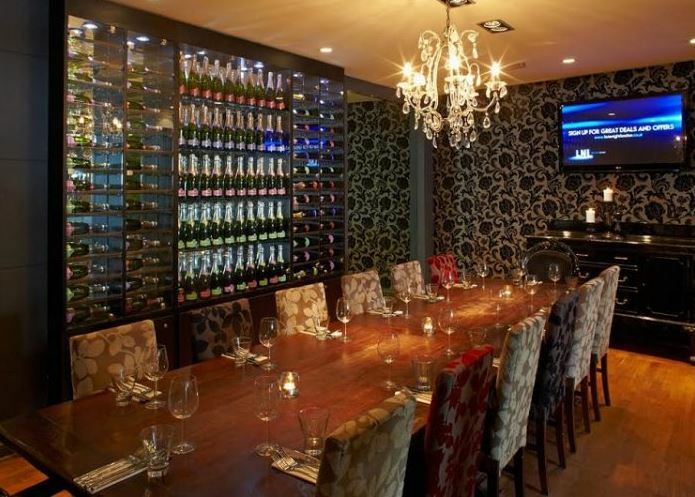 For parties in the centre of town it doesn’t get better than at Grace – with its four private dining rooms seating from 8 to 22, this multi-functional venue is perfect for birthday and anniversary celebrations comprising a nightclub and cocktail bar for post dinner, late night revelry. We particularly love the largest space – the Glass Private Dining Room with its glass fronted sliding doors, large banqueting table, 32” TV and striking mirrors adding ambiance and glamour. Soundproofed from the rest of the restaurant, the stunning three course menu (£60) of modern French favourites is sure to please and can be augmented with sorbets and cheese courses depending on how big your guests’ appetites are. Still a well kept secret amongst the inhabitants and workers of Canada Wharf, sits the latest Big Easy, with its cleverly stylised private room for just 26 people. With hand carved wooden tables and chairs, the aptly named Captain’s Table will provide a crabshack & bbq based celebration fit for a pirate king. A private heated terrace, nightly live music for post-dinner partying in the Rum Lounge, as well as alcoholic cocktail slushies and a High Roller’s wine list ensure that your party’s a good ‘un. Veggie menus start at just £20 a head, but you really want to go surf n’ turf here (from £30/head). Top tip: set menus are cheaper for lunch than dinner while offering the same dishes. Another stylised restaurant that ensures a uniquely entertaining night is Ping Pong in Covent Garden, where the private dining space for 36 is perfect for hosting relaxed and friendly birthday parties with great sharing food. You could also indulge your friends and family in a dim sum or cocktail masterclass before sitting down to enjoy their delicious dim sum and other goodies. Prices start at around £45 a head including cocktails, sides and deserts. Carnivores who can think of nothing better than a steak party (that would be my husband!) should seek out the legendary Marco Pierre White’s London Steakhouse Company. 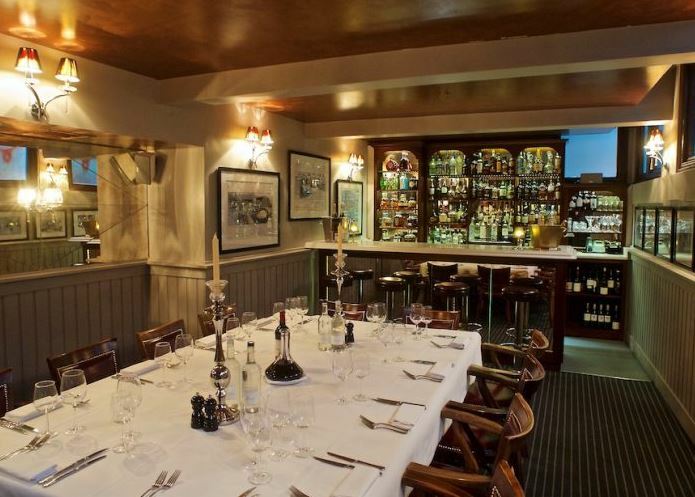 The newly renovated private room on the mezzanine floor can seat a meaty 20 guests with menus starting at £34.50. The best bit is it comes with its own bar and dedicated barman – ensuring service as excellent as the steaks from master butchers Aubrey Allen. After their name change has come a redesign, but Vineet Bhatia London (formerly the Michelin starred Rasoi) has maintained its unrivalled innovative Indian-inspired cuisine and faultless service. With two private rooms ideal for smaller parties of 8 or 12, the multiple-course tasting menu (£105) is sublime and can be paired with wines (£175) for a truly memorable celebration. Finally for a quieter, more serene style of celebratory dinner, the tiny Restaurant Marianne in Notting Hill is available for exclusive hire for parties up to 16. With bespoke gourmet menus using only the top seasonal ingredients starting at £35 per person and a cosy chocolate box ambience, it’s proof that good things really do come in small packages.